The Porta Presso has undergone an intense design phase to get to the near perfect design that it is today. With its sleek form guided by its functional parts. Carefully honed mechanisms combined with smart technologies to produce a coffee maker that is sleek, stylish and minimalistic. Each and every aspect of the Porta Presso has been carefully designed to ensure that it is truly portable while maintaining a high quality of coffee. The Porta Presso is lightweight, compact and a practical addition to any situation. The grinding and compacting of the beans is a vital stage of the process to ensure you get a high quality barista tasting coffee. Why is that? If the beans are not ground enough or not compacted tight enough then when the boiled water goes through them to make the coffee shot the water will run through the coffee grind too fast resulting in a very weak watery tasting coffee. On the other hand, if the beans are ground too fine or compacted too tight then the water will be unable to pass through the grinds properly thus leaving you with a burnt coffee. That is why after extensive research and testing the Porta Presso comes pre-set on the optimal settings. Alternatively, for you coffee experts out there, you can adjust the functions of the Porta Presso at your will. The Porta Presso has a built in fully automated PLANETARY geared grinder and compactor that is extremely efficient and very user friendly. The planetary grinding system holds up to 38g of coffee beans (2 coffees worth). The grinder effectively grinds at a 1:5 ratio ALLOWING the porta presso to grind beans fast and EFFICIENTLY with APPROXIMATEly 19g of beans being automatically ground each coffee. All the parts of the porta presso that require cleaning are 100% removable and dishwasher safe. internal COMPONENTS that cannot be removed are cleaned by the built in cleaning cycle that can be selected from the porta presso’s settings menu. 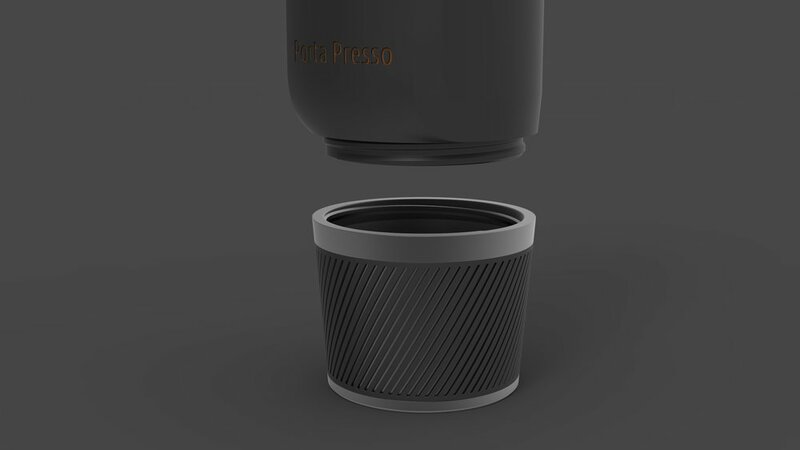 The Porta Presso Cup has been intuitively designed so that it is sleek and minimal, yet it fits into a standard cup holder. The Porta Presso cups come in an assortment of colours so that you can get the cup that is right for you. 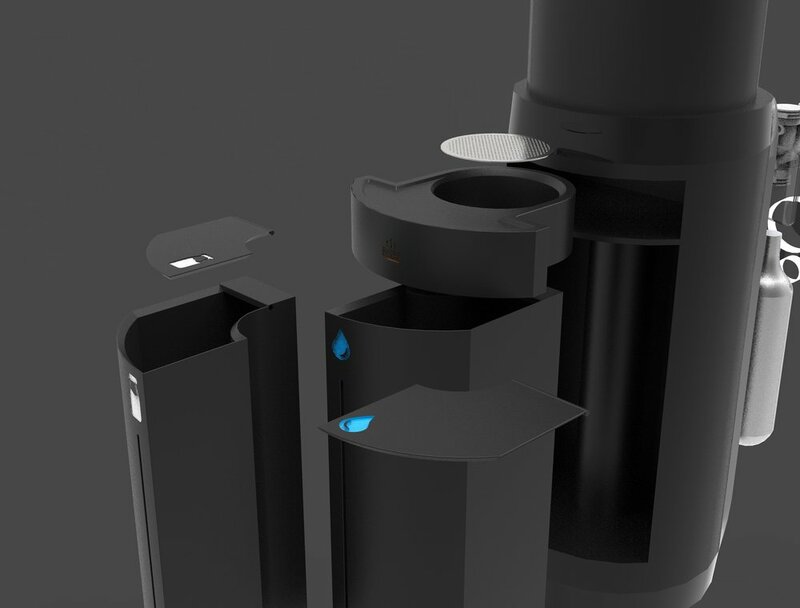 The cup is able to be seamlessly attached and detached from the Porta Presso machine, curating a whole new user experience. To make the Porta Presso even more CONVENIENT for coffee drinkers, You are able to conveniently order fresh beans directly from the Porta Presso website here and have them delivered to your door no matter where you are in the world. Choose from a one off delivery or a subscription. Alternatively, use your own coffee beans.